~ you have been called to live in freedom. Earlier last month, my family moved to the coastal city of Mombasa, some 500km from the city we’ve always called home. 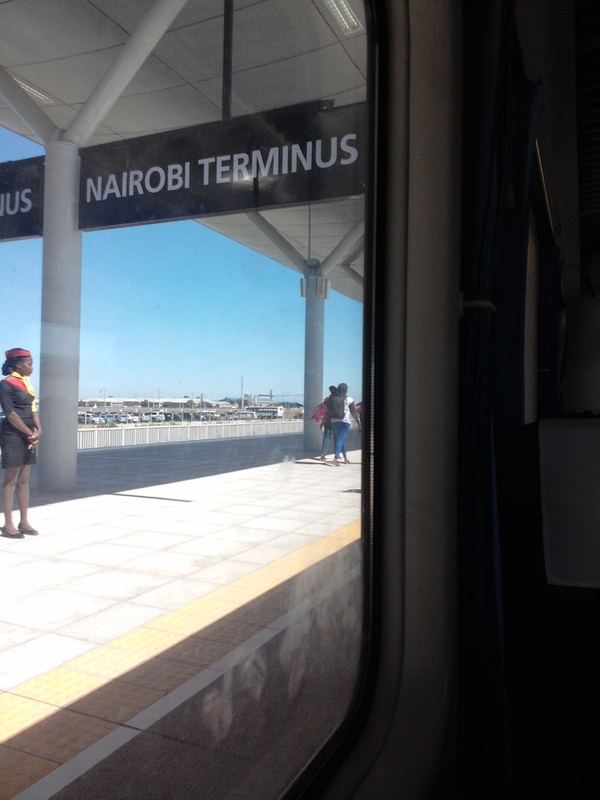 I however, have still some things to do in Nairobi so I’ve been shuttling every week to and fro – thanks to the new railway service. 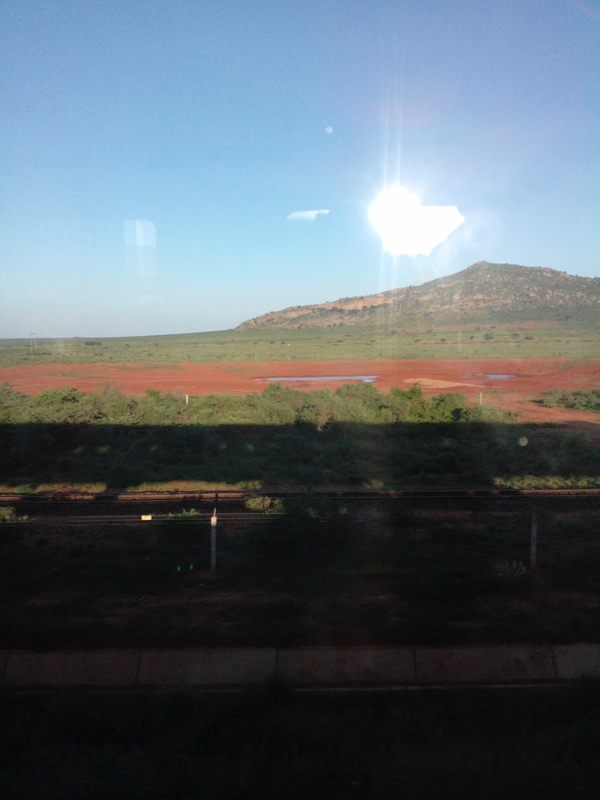 As the train traverses the Savannah plains that is the land between Nairobi and Mombasa, one watching through the windows cannot fail to notice how fast local life passes by. From the remote villages of the vast Kamba land to the diverse wild animals of the Tsavo, one only gets a glimpse of what happens. Given the speed of the train, there is little to experience along the way, and eventually one starts looking forward to the destination. I have wondered more than once what it would be like to experience the village life and graze cattle in the same place I see the wild animals. On one part, one can look at the train journey as a life where one believes in Jesus, departs from Nairobi, and then speeds to Mombasa – heaven to meet Jesus there. Another can be viewed as a walk with the Lord (like journey to Emmaus) where a couple of you depart Nairobi with Him when you believe, walk with him through the wildlife inhabited plains, for many days unlike the 5 hours on the train, encounter challenges with Him along the way , and scale all of them with Him. You get to the destination Mombasa, having not only arrived victoriously, but also bonded immensely with Him as you’ve experienced life in Him together. Given a choice between the two, I’d rather the walk – tough, but immensely satisfying. Right or Left, where does the follower of Jesus stand? Earlier in the year, I wrote a post on the tension I was grappling with where politics is concerned. That was in the run up to the general elections in Kenya, but now the electioneering period is over with the climax being voting last week. The post election atmosphere is far from what most of us hoped it would be; “let this hullabaloo end we go on with our normal lives”. There’s much uncertainty with the declared ‘winning side’ on one hand celebrating, and the ‘loosing side’ on the other hand refusing to concede. “13 And one of the company said unto him, Master, speak to my brother, that he divide the inheritance with me. Often times I’ve wondered why Jesus would sound so unconcerned about such an ‘obvious’, or ‘outright ‘ case of unfairness. The details of that response may not be the subject of the current consideration, but rather where the believer stands and the effect on us when these scenarios are presented to us. It is increasingly becoming obvious to me that the interest of God on earth is on a family, a body He can express His will on the earth in and through, the Church. His focus therefore becomes the transformation of those in the family to a place of standing for love towards all, and an invitation to those outside to join the family so that they can be part of this family that He by His love in and through them draws the world to Himself. Thoughts about work and the dignity of honest labor. "For I determined to know nothing among you except Jesus Christ, and Him crucified."